This Meyer Lemon Creme Brulee recipe is a classic vanilla crème brûlée with a hints of bright meyer lemon. I always find it a welcome surprise when Meyer lemons pop up in the grocery store this time of the year. They seem so out of place during the bleak mid-winter, but I do appreciate them. They’re cheery, a reminder of summer, and a hope of warmer days to come. 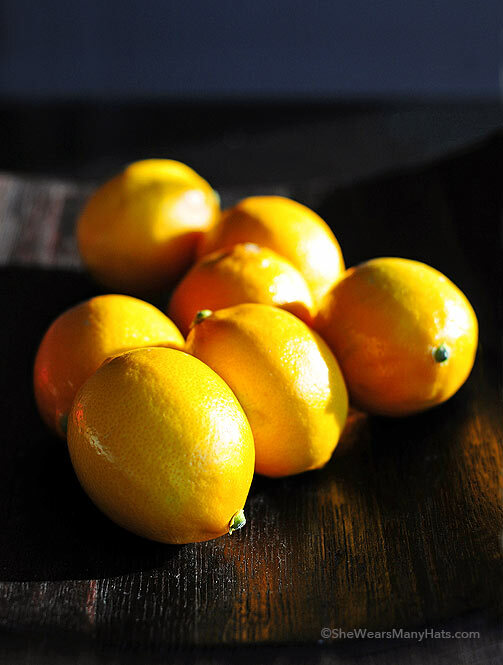 Meyer lemons are hard to pass up, so I always buy several with big plans on how to use their fresh, perky flavor. I tend to let them linger as long as I can, as a bright spot in our kitchen, grabbing one as I pass by to take a whiff for a little pick me up, a bit of aromatherapy if you will. Sometimes they find their way into crème brûlée. I have to admit, a well proportioned, quality vanilla crème brûlée is pretty hard to beat in my book, but the subtlety of the Meyer lemon addition was just enough without being distracting or overwhelming, like many lemon desserts can often times be. Although it has a fancy reputation, crème brûlée is pretty simple when you break it down. Plus the beauty of crème brûlée is that it can be made well ahead of serving time, and then “flamed,” as my kids like to call it, before serving. Perfect for a party I’d say. Or perhaps just a regular day too? Do you have any favorite recipes using Meyer lemons, or other crème brûlée flavors you enjoy? Do share! A classic vanilla crème brûlée with a hints of bright meyer lemon. Preheat oven to 325-degrees F. Place 6 ramekins (about 6 ounces each) onto a roasting pan, baking pan, or rimmed baking sheet. If using a vanilla bean, split it in half and scrape the seeds out with a knife. Add vanilla bean and seeds (or vanilla/vanilla bean paste), to a saucepan along with the cream and Meyer lemon zest. Slowly warm cream mixture over medium heat, just until foam begins to form around edge. Remove from heat, and let mingle for about 10-15 minutes. In a bowl, whisk together the egg yolks and sugar until it begins to lighten in color and slightly thicken. Strain the cream mixture at this time. While continuing to stir, very gradually add the cream mixture into the egg/sugar mixture until all is combined to create the custard base. Work slowly to avoid cooking the eggs. Pour equal amounts of custard mixture into the ramekins. Transfer baking pan (with filled ramekins) to oven and pour enough hot water into baking pan to come to halfway up the side of the ramekins. Bake until custard is set, but still a little jiggly in the center, anywhere from 35-45 minutes, remove from oven, let cool. Cover with plastic wrap and refrigerate for at least 2 hours, or up to 3 days. When ready to serve, evenly spread the superfine sugar over tops of custards. Using a torch, carefully melt the sugar until golden brown. Let cool until sugar hardens and enjoy! 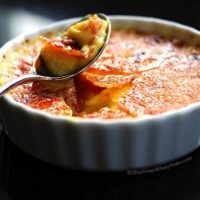 This recipe is the basic vanilla crème brûlée recipe that I make with a bit of Meyer lemon zest added, so if you're in the mood for plain vanilla, just leave out the zest. No other changes will be necessary. Also, as far as sugars for the crispy crème brûlée top, I've used demerara, regular granulated sugar, and caster (superfine) sugar. All will work, but I prefer a good layer of the caster sugar. I've found it melts quicker and more evenly. But caster sugar can be hard to find, so another option, if you'd like to try the finer sugar, is to pulse regular granulated sugar in a food processor a few times, not until it's powdered sugar, but finer than regular granulated sugar. Can you believe I’ve never had creme brulee? This looks amazing! I have a veritable bonanza of a Meyer Lemon crop on my own tree right now. 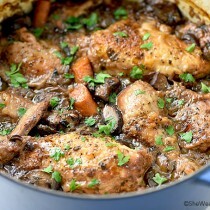 I love the subtle lemony flavor and the fragrance just can’t be beat! I will need to try this recipe’ tout suite’. Oh yes yes! 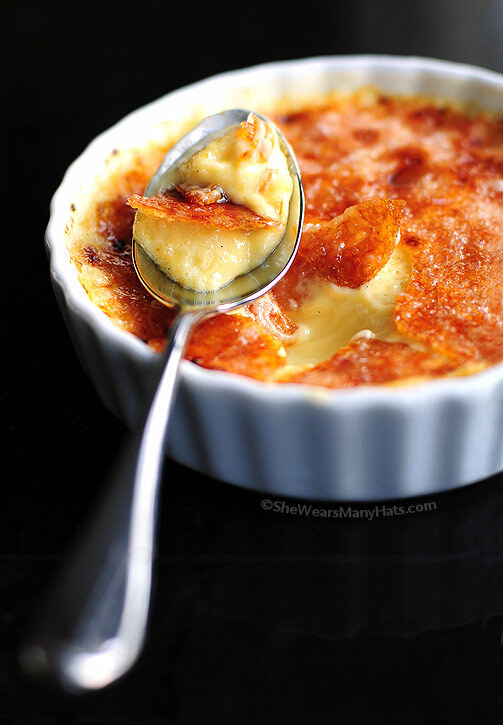 First of all, creme brulee is my most favorite dessert ever… but throw in some meyer lemon! I’m speechless! That shot of the cracked sugar is killer! Drooling here….Creme Brulee is my FAVORITE! 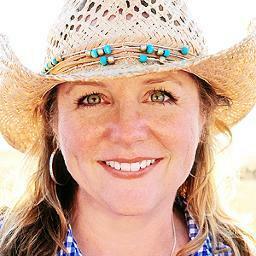 oh my gosh, amy, i love you. sorry to be so bold but this may be the perfect dessert for me, and you made it. I love you too Heather! Creme Brûlée is my favorite and this looks like perfection!!! I make a pumpkin creme brûlée in the fall and now need to make this for the spring!!!! Lemon desserts are always my favorite. This sounds perfect sweet and tart! Oh..wow..looks so creamy and yum! And citrus flavors..am baking it this weekend. I LOOOOOVE creme brulee. And I love to crack it with a spoon just like Amelie. And then pretend I’m French. I just saw Amelie two weeks ago and loved that part! A quirky, charming movie it was. Wow , this must taste incredible! I have never tried creme brulee with Meyer lemon. It’s unusual but so refreshing. Would love to try this out. I am in love with your photographs. Just brilliant!!! I want a tree Sandy. Let me know how it does for you. This looks so wonderful. I love lemon and I love creme brulee, so what could be better?! This sounds wonderfully delicious! I’m glad you mentioned the “strength” of this dish. I don’t like things overly lemony but a light touch of lemon is soooo gooood! Oh, Amy! I love, love, love Meyer Lemons!!! I so hope they are in my grocery store soon! I got a Sur La Table gift card for Christmas and was *just* telling my hubby that I might use it on a torch. I think you’ve just cemented that decision! This sounds absolutely amazing! I cannot think of two better flavors to pair. YUM! The sweet crunchy topping is what makes it sooooo sinfully good. Oh Lord…you’ve really done it. This is just over the top for me. I love Meyer lemons so much that I got a Meyer lemon tree for Mother’s Day last year and creme brulee??? Help me. Oh.my.heavens.! What a grand idea. This is about the most sunshiney dessert I’ve seen in awhile. Some of my favorite things – lemons, creme brulee & sunshine! mmm I love orange Creme Brulee. I love to even put a little zest in with the sugar on top to give it a little extra different flavor! Oh my. That sounds delicious. I don’t know if I’m brave enough to try and make it though! Oh my. I need a spoon right now so I can dig in! This looks divine! 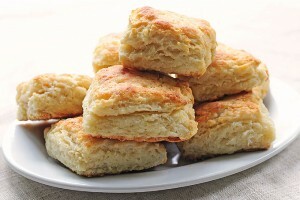 I’m wondering what it would take to get you in my kitchen and make these now. Wouldn’t that be a fun time! I just grabbed some meyer lemons off the tree the other day and was just thinking of what to do with them! I’m so jealous. I wish I had a tree! If we were neighbors, you could bring the Meyer’s and I’d make you brulee. This looks amazing! Love lemon desserts! I just purchased a bag of meyer lemons this week. This looks so delicious and lovely. I think it might even make its way to my table this weekend. Oh, good lord. That first photo? I can almost taste it. Love this idea! Baked Meyer lemon-almond biscotti tonight. Meyer lemon macaroon tarts are up on my website, also a Meyer lemon cheesecake with Biscoff crust. Love them! Whoa Lucy. Meyer lemon macaroon tarts?!? And cheesecake too…oh my. I have never had creme brulee but I think I will make this one to see how it actually tastes.. have herd alot about it.. I hope I can get hold on a torch before this weekend! Yum! 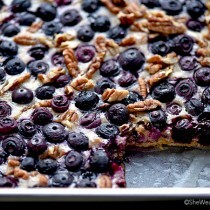 Beautiful photos… the top crunch layer looks perfect! So. Amazing, Amy! I need to make this for my Danny. Creme Brule is a favorite of his. Thanks for the inspiration! I adore creme brulee and lemon desserts– what a perfect combination! I love all things lemony, especially made with Meyers Lemons! Oooo this looks like a creme brulee i would love! 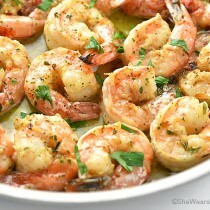 Im not too fond of the dish, but with the lemon i bet it would be lovely. One word for this Amy…sinful! I have meyer lemons on the brain now. I can smell them and taste them, and this lovely brulee. I love Meyer lemons and this dessert looks wonderful! I need a torch! Amy, this rocks my little world! I don’t make creme brulee, or at least not yet, and it’s been on my mind all winter. I’m also a huge Meyer lemon fan, which makes this even more glorious. Your photos are gorgeous–I love the simplicity of them, yet all I want to do is climb inside and be one with your brulee. I *will* be making this. Thanks for sharing! This looks amazing, Amy! Two faves combined! Just beautiful, Amy! 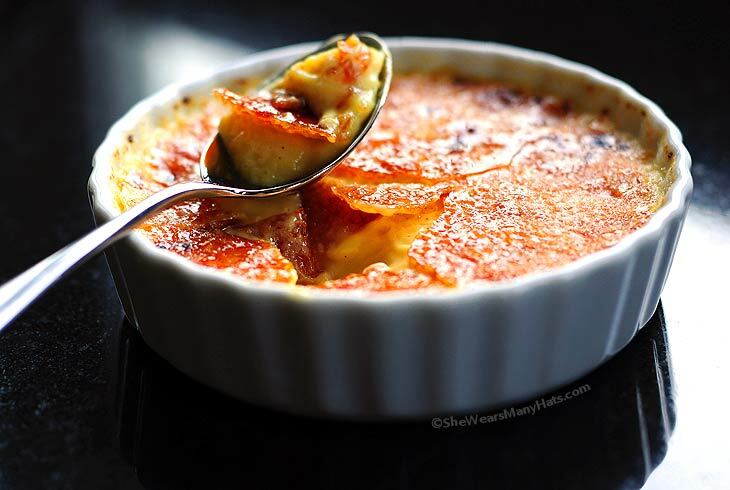 I adore creme brulee … and using a kitchen torch (my husband says I like the torch a little TOO much!). You just gave me another great reason to get the ol’ torch out! Thanks so much for sharing. Creme brulee ranks up there in my top 5 favorite desserts. Your addition of Meyer Lemon zest sounds incredible. Your photos are truly inspiring. Your creme brulee looks wonderful. 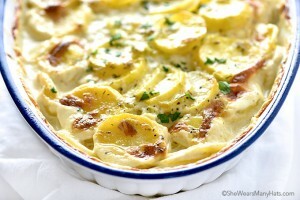 I like the lemon zest in it, it’s something I will definitely be trying. Thanks! Oh my god, I can smell this. I have been on a MAJOR lemon kick, so this is perfect for me. I’m off to get a blowtorch. Hey! I LOVE your site! And. This sounds amazing! Question though! I don’t have a torch… 😉 Is there any way to crisp up the top without a torch? There sure is. Many people use an oven on broil to do the “crisping” up top. I’m sure with a quick search you can find a suggested time, but whatever it is, be sure to keep a watchful eye because it will probably melt quickly. I modified this to make a Blood Orange Creme Brulee and it worked wonderfully. I used ground vanilla from Williams-Sonoma, and I also added the juice from two of the blood oranges. Super tasty! These are truly beautiful !! I can’t wait to try this! That top photo is fantastic! I can taste the creamy lemon flavor just looking at it. Wow. This is an amazing flavour for creme brulee! I love it! holy moley this look amazing!! This seems a little intimidating but I’m going save it for when I get brave…and buy a blow torch. It really is easier than you think. Just don’t be in a hurry and follow the steps and you’ll be fine, Lara! I have been using your recipe since 2012… It never fails me and is now tradition that I make it for every New Year’s Eve. 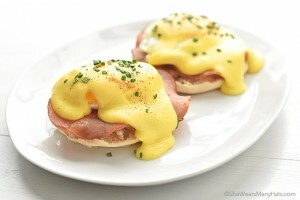 It pairs perfectly with a Brut Champagne (Vueve Cliquot or Moet & Chandon preferrably). I usually double it and serve in rectangle shallow 4 oz dishes. I make it the morning of NYE and chill all day. The big show is torching the sugar. Oh my goodness thank you for letting me know, Stacey. I will have to try that pairing—AND soon! Hello! Wondering what to do if you don’t have a blow torch handy? Would broiling it work? Or is it a necessity? Thank you! Yes, Sara, broiling it is fine. Just be watchful to avoid scorching.